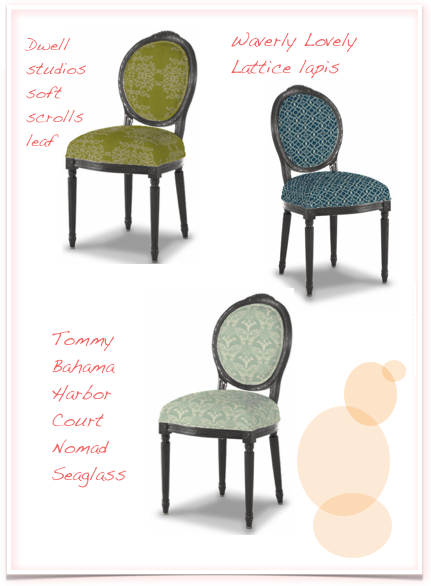 Has anyone else tried out this really fun design application on Jo-Ann fabrics where you can virtually try different fabrics on your furniture? I bought a chair similar to the one pictured here at a local consignment store, but I've yet to choose a fabric for my first upholstery project. This is a great application to try out because it gives you an idea of how large the repeat pattern is. I don't know about you, but I'm bad at visualizing that part. It turns out most of the prints I considered were a lot smaller than I'd thought. The orange Sunbrella fabric is looking perfect, except it's an outdoor fabric. Not sure how that would work out. On one hand, it would be great to just wipe off stains. But is it going to feel like I've covered the chair in plastic? Love, love, love the Khandar Indigo, but wish it came in more of an orange or coral color. A solid might be nice and sophisticated, but is it fun enough for my first upholstery project? The verdict is still out on this one. I'm not in Tokyo anymore, so instead of a short train ride to Nippori ("Textile Town"), I'm going to drive to my nearest Jo-Ann fabrics and do a look-see. Or I might go back to this great local housewares shop downtown called The Home Market. Eventually, I'll make the big decision and, of course, blog all about it! 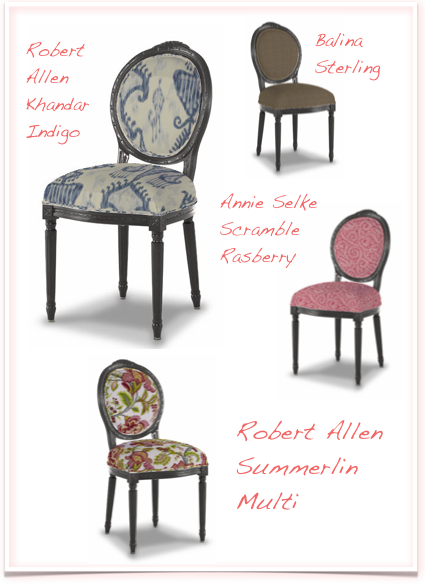 We think you would be very surprised at the softness of our furniture fabrics. They’re not like the plastic slat chairs of yesteryear. Did you know that we make velvets? 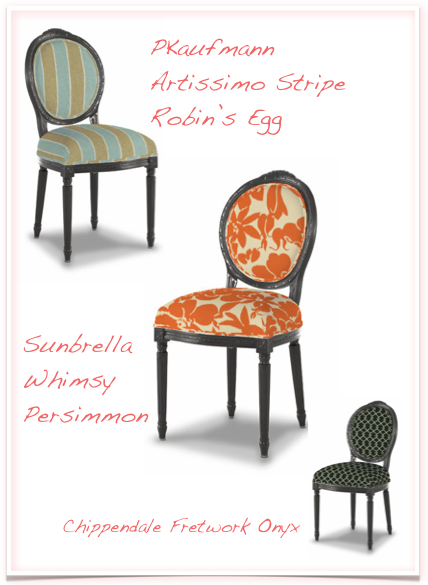 You should also know that our furniture fabrics are designed for both indoors and out. Come take a peak ( http://www.sunbrella.com ). Well, that sounds great! I'll definitely have to try them out. The Sunbrella orange is by far my favorite of the ones you posted!